The first article refers to the mechanism for assessing the competitiveness of an industrial enterprise in the information economy. It brings up the instrumental approach on how to measure competitiveness of an industrial company involved in technological progress and market competition. The paper presents a comparative evaluation model adapted to the industrial area of business, especially focused on the Ukrainian economy. The next work focuses on complexity and deals with a multilevel model of AHP being non-subjective and reducing the uncertainty instrument. The author aims here to answer the question of whether the balance between economic viability, social responsibility and environmental sustainability serves the purpose of balanced development of an enterprise. The paper includes decomposition driven by hierarchic understanding of the concept and structure of balanced development. This issue of the journal also presents an insight into the mechanism of public-private partnership implementation to coal mining enterprises in Ukraine. The syndicate form of this business branch and producers-consumers relationships are considered as well. The authors focus on the effectiveness of sales management policy in a body of this partnership and suggest extending amendments to the current laws and regulations. Another work discusses the issue of an agricultural chain of production. 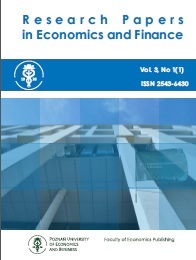 The article entitled “Development of an Agro-Food complex on the basis of economic integration” includes qualitative and quantitative associations of determinants serving a way to understand complexity of the economic system. Conclusions are driven mostly by the unstable energy supply and ecological crises on the planet, having previously addressed arguments on agro-food complex development for energy production. Last but not least, the next article is widely associated with the energy problem and focuses on investing in building the energy cluster in Ukraine. However, the authors have been far more concerned with exploring this issue by the financial aspect laid in attracting funds mostly in the form of municipal bonds and compensatory financing on the basis of tax. Compensatory financing of energy saving projects in construction: modification of "TIF"